Several questions surrounded the Boston Bruins prior to last week’s home opener against the Winnipeg Jets. How would the defense perform? Who would carry the flag on offense? How short is Claude Julien’s leash? Will they make the playoffs? Three games into the season, a black cloud hangs over TD Garden with very little sunlight peeking through. The Bruins are sitting in the basement of the Atlantic Division at 0-3 and the Eastern Conference on goal difference. The recent news of Brad Marchand’s concussion is the cherry on the top of a miserable start to the Don Sweeney era. Amazingly, there are some positives to take away from Boston’s first three games. There’s also plenty of negatives. Here’s three of each after the Bruins’ winless homestand. One of the encouraging early signs on offense comes in the form of the power play. Four of Boston’s seven goals this season have come on the man advantage and their 40-percent success rate is tied for third in the NHL entering Monday night’s action. It's official: The #Bruins have more powerplay goals today than they did all of last season. Maybe. 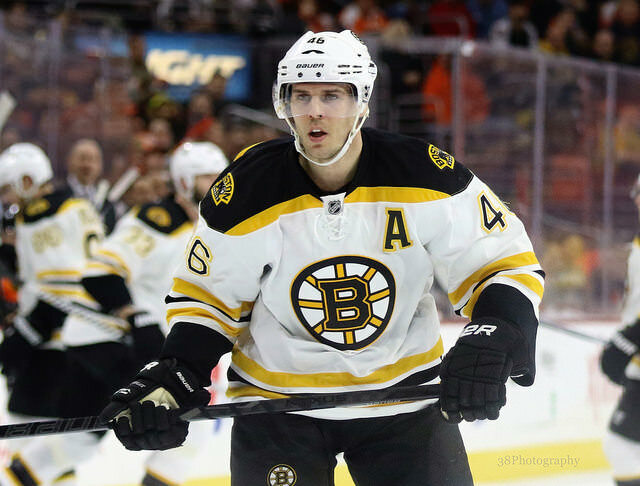 A healthy David Krejci and Torey Krug have been the early catalysts for their rousing success. Combined, the duo have seven power-play points and have quarterbacked the Bruins to punish their opponents for taking penalties. It’s unrealistic to expect they will maintain this pace, but it’s an encouraging sign to see the club converting on their power play chances early on. Anyone that has watching the first three games knows how atrocious the defense has been. Bruins might finish last in the east this year. I guess the defense is this bad. If you haven’t, here are the facts. Boston’s blue line is the worst in the League having allowed 16 goals through their opening three games. Combined, the defensemen are a minus-18. Poor defensive coverage and putrid turnovers have been their modus operandi. Matt Irwin has already lost his job after being placed waivers Sunday. The return of Zdeno Chara did little to stabilize the defense on Monday, allowing a six-pack to the Tampa Bay Lightning en route to a 6-3 defeat. Boston’s defense allowed four or more goals 17 times last season. This year, they’ve done so in every game. It’s a troubling trend that appears to have no sign of ending anytime soon. That is unless they can get Dougie Hamilton and Johnny Boychuk back. Krejci and David Pastrnak have teamed up to be a dynamic duo on the Bruins top line. The Czechs have combined for 8 points through three games. 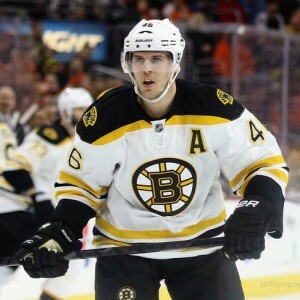 Krejci leads the club with five points (two goals, three assists) and is second only to Patrick Kane in points. Pastrnak has a goal and two assists on the young season but has been at the heart of the Bruins’ best offensive chances. The 19-year-old is proving his performance down the stretch last season was no fluke. The duo shapes up to form a top line that will be a lot of fun to watch the season, especially if offseason acquisition Matt Beleskey can find his footing playing alongside the Czechs. Ryan Spooner earned himself a roster spot as the Bruins’ third-line center after carrying the offense alongside Pastrnak down the stretch last season. This season has been a much different story. Boston’s third line has given them absolutely nothing thus far. In fact, they have combined for no points and a collective minus-15 rating through three games. However, what makes coach Claude Julien really cringe is their possession numbers. The Corsi-For percentage of Spooner (31.6), Hayes (35.1) and Connolly (37.2) are good for three of the bottom four numbers on the squad in that category. They’ve generated absolutely nothing while allowing far too many chances for their own good. It has been anything but pretty for a line that was expected to give the Bruins much-needed depth scoring. The Zac Rinaldo experiment in Boston has been a positive one so far. The former Philadelphia Flyer has instilled a physical presence that was sorely lacking from last season’s bunch. More importantly, he’s played within the boundaries of NHL discipline. Time for Zac Rinaldo to earn his money. Sweeney overpaid for Rinaldo’s services in the offseason in the form of a third-round pick and, while nothing can justify the price, the Ontario native has come in and accrued 11 hits through three games. He’s given the Bruins an edge thus far and should continue to do so. However, he still has to tread lightly with the Department of Player Safety watching his every move. Maybe we should ask Cam Neely now if it was “unfair” to place Julien on the hot seat. The Bruins’ rough start doesn’t bode well for the coach’s job security. Yes he may be working with a roster that is less than perfect but the team president isn’t going to fire a general manager just five months into his tenure. Julien has to be feeling some of the heat at the helm of a club that has been defensively sound for so long has been torn to shreds early on. He will have to think of an answer to fix the Bruins mess sooner rather than later. The Garden Faithful may soon run out of patience with Julien in the “what have you done for me lately” culture that is Boston sports.